It’s my wedding anniversary. 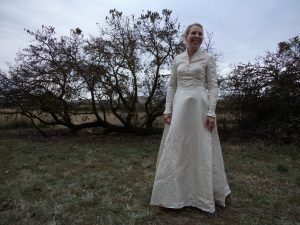 On the weekend I dug out my wedding dress and tried it on. It still fits but only just. I made this dress. 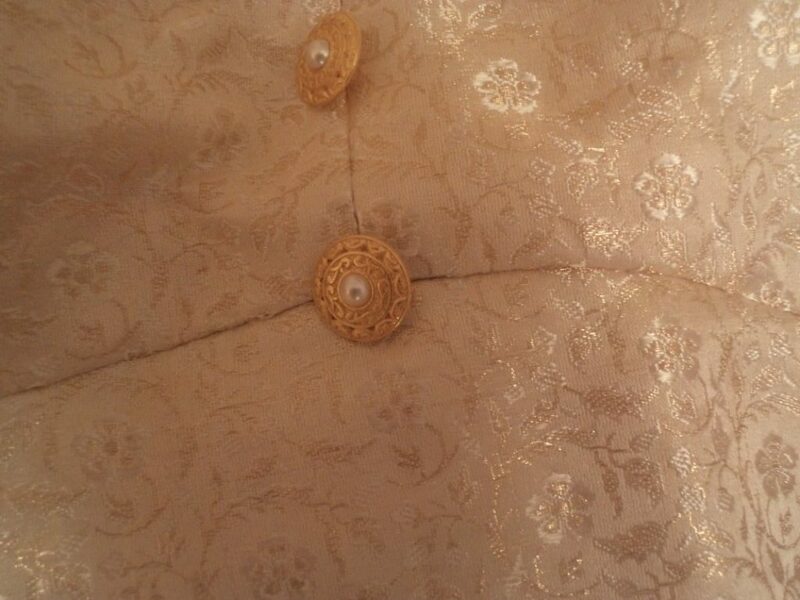 The fabric is very beautiful; it’s silk with a metallic floral design. I also made my sister’s dress from a Vogue pattern. 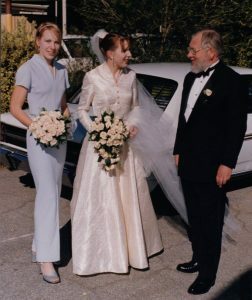 Here I am arriving at the church 18 years ago, with my bridesmaid sister and my dad. The last time I tried it on was on our ten year anniversary. Just had a baby -must have been sucking that stomach in! Here I am now. Feeling rather uncomfortable -dress seems to be tighter than I remember. 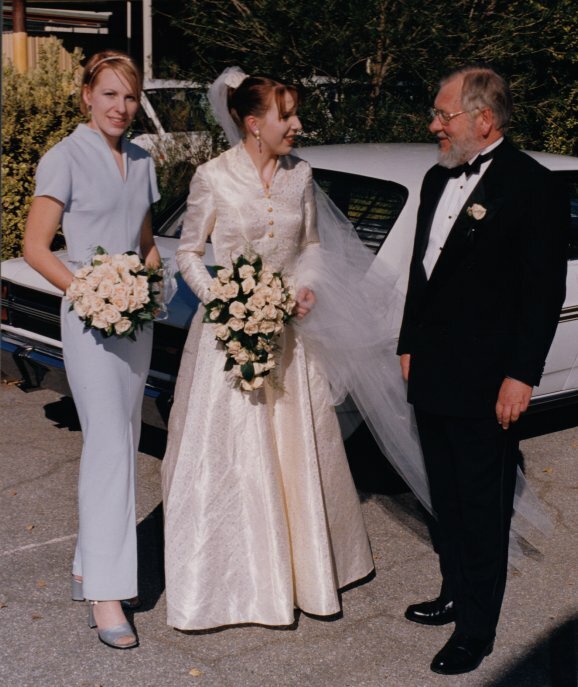 The dress and its model are still as beautiful now as they were on the ‘red carpet’. Happy Anniversary for the 24th! Thanks for your kind comment. 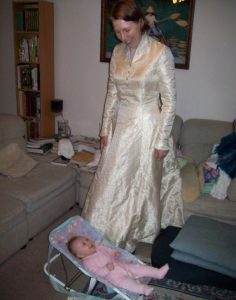 I remember feeling “just right” in my dress. Happy Anniversary to you two! What a great wedding that was!! Thanks Helen, yes it was a great wedding.